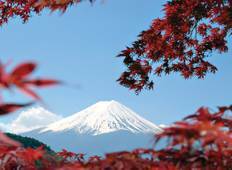 Find the right tour for you through Fuji. 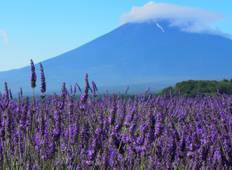 We've got 56 tours going to Fuji, starting from just 3 days in length, and the longest tour is 33 days. The most popular month to go is October, which has the most number of tour departures. "I loved the country of Japan and the people. The tour was made wonderful and fun..."
"I liked the tour overall. The Fuji View Hotel was my favorite accommodation, with..."
"For our 1st trip to Asia, Super Value Tours provided us with great hotel accommodations!..."